As a new rider, you might be wondering how much the new Deliveroo kit cost. In this post, I’ll go through all the details of pricing for the required kit. Deliveroo has now made the Deliveroo kit FREE for new riders! Brilliant! There have also been massive reductions in the price of kit for current riders. The jacket is now £17.50 (down from £40), the courier box is £22.50 (down from £50) and the thermal bag is £5 (down from £10). This is a really good move from Deliveroo and shows that they are listening to their riders. Good move! The total cost of the core kit is £100, and you get charged £25 of this win you sign up, and then the next £75 is taken out of your wages. I think it’s really bad that Deliveroo now charges such an extortionate amount for the kit (they used to just make you give a £150 deposit which they would repay when you hand it back). I mean there is just no way the courier bag costs them £50 to make, which means they are actually making money out of the riders. Uber eats also charge their riders if they don’t have the required gear. However, the only thing they require you to have is a delivery bag (which can be bought from them for £30 upfront). These “food on demand” companies are all moving to the riders buy the gear system because it’s part of their effort to demonstrate that all riders are unemployed. This means that the riders are technically freelancers and so they need to provide their own gear (such as delivery bag and jacket) to suit the requirements of the job. 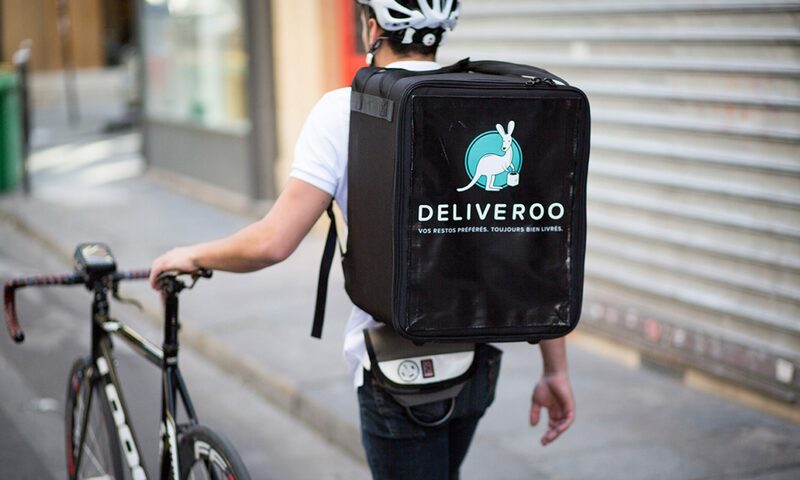 The problem is, the requirements which companies like Deliveroo give for the riders are so specific that pretty much the only equipment which fits it is the stuff they sell themselves! If I were you, I would get the bag second hand on eBay and then buy your own jacket. This will easily save you about £60. And if you sign up using my link here, then you get a £50 signup bonus 👍 which will easily cover your equipment costs. Bear in mind you can still sell your gear on eBay when you finish. Deliveroo also give you another £50 voucher to spend on gear once you complete 50 deliveries. I used this to get another jacket which I then sold on eBay for £50! Hi Dean, You have to pay £25 upfront and then the rest comes out of your paycheck as you earn (only up to a maximum of 50% of your paycheck). This makes it easier to get started, but you will still have to pay the £25 upfront. Previous PostPrevious Do you have to buy the Deliveroo kit?